Gloria A. 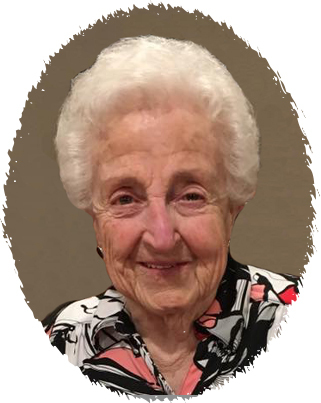 (Harris) Raskovich, 93, longtime Coleraine resident, died Monday, March 18, 2019 in the Grand Village, Grand Rapids. Born January 24, 1926 in Calumet, she was the daughter of Bruno and Frances (Zinno) Cortese. Gloria was a 1944 graduate of Greenway High School and a Coleraine resident for over 60 years. She was a member of the Mary Immaculate Catholic Church and it’s C.C.W., several Coleraine card clubs, and had been an accordion teacher for many years. Gloria and Richard J. “Butch” Harris were married on February 19, 1949 in Marble. Following Butch’s death, Gloria married Louis Raskovich on August 5, 2000 in Coleraine. Her parents, Bruno and Frances Cortese; and her husbands, Butch Harris and Louis Raskovich preceded her in death. Survivors include her children; Gail (Gary) Sigfrinius of Forest Lake, MN, Sharon (Ray) Vannet of Coleraine, MN, Peggy (Greg) Vollhaber of Kelliher, MN and Jim (Corinne) Harris of Forest Lake, MN; a step-daughter, Jolene (Jay) Williams of Junction, TX; 9 grandchildren; 8 great grandchildren; a sister, Jean Huff of Pittsburg, PA; and a brother, Jim (Sharon) Cortese of Bemidji, MN. Visitation will be 10:00 AM until the 11:00 AM funeral service on Saturday, May 4, 2019 in the Mary Immaculate Catholic Church, Coleraine. Interment will be in the Lakeview Cemetery, Coleraine. There's still time to send flowers to the Visitation at the Mary Immaculate Catholic Church from 10:00 AM to 11:00 AM on May 4, 2019.